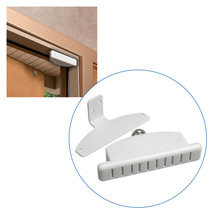 The Door Chime alert operates on two magnets and require no batteries or wiring. Includes simple "off" switch. Installs easily. For many more products, we encourage you to take a moment to view our entire selection of Door Chimes at Specialty Store Services now.